The word ‘poisoning’ might conjure up thoughts of Agatha Christie novels or defected Russian spies on a Kremlin hit-list. But poisonings are more common than you might think. The World Health Organization estimated that 193,460 people died worldwide from unintentional poisoning in 2012. Each year, around 160,000 people visit UK hospitals seeking help for exposure to toxic compounds, accidental and otherwise. Many more ask doctors or NHS helplines for guidance. The number of possible poisons is also far larger than the infamous few used by Christie and the KGB , with around 17,000 substances listed on ToxBase – a database for healthcare professionals run by the UK’s National Poisons Information Service. Paracetamol overdoses are the most common type of poisoning in the UK. Between April 2017 and March 2018, approximately 65% of National Poisons Information Service enquires related to paracetamol (also known as acetaminophen) and other pharmaceuticals. A further 15% were regarding household poisons such as washing and dishwasher tablets, cleaning products, essential oils and synthetic fragrances. ‘Patients are often found with circumstantial evidence of poisoning – such as a syringe, powder or tablets – or they come to the hospital and tell us they’ve taken certain substances,’ explains Arvind Veiraiah, a clinical toxicologist at the Royal Infirmary of Edinburgh in Scotland. In the absence of these clues, a patient’s symptoms will often direct medics towards what caused them. Blood tests can help too. The treatment for most poisons is largely supportive, says Ruben Thanacoody, clinical toxicologist at the Royal Victoria Infirmary in Newcastle in the UK. He and Veiraiah are members of a team of consultants that provide telephone advice on complex poisonings through the National Poisons Information Service. ‘We decide, based on how the drug works, what the likely toxicity is and then manage the complications accordingly. If they have low blood pressure, we manage the low blood pressure; if they have low heart rate, we manage the low heart rate,’ Thanacoody explains. It is possible to reduce exposure to some substances by using activated charcoal to reduce absorption in the gut. ‘If a patient presents within one hour of ingestion, we can use activated charcoal to bind to some drugs and prevent them from being absorbed into the circulation to cause toxicity,’ Thanacoody says. For some of the most toxic poisons, antidotes are available if the poisoning is severe enough. ‘The most commonly used antidotes are naloxone and acetylcysteine,’ says Veiraiah. These treat opioid and paracetamol overdoses, respectively. The National Poisons Information Service recommends about 30 antidotes that should be held by all hospitals with emergency departments in the UK. This must-have list includes vitamin K, an antidote for warfarin, and idarucizumab for reversing dabigatran, a similar drug. Warfarin, originally developed as a rat poison, has been the UK’s staple oral anticoagulant for around 70 years. The past decade has seen a handful of new oral blood thinners approved, the first of which was dabigatran. Haemorrhage is a potentially serious side effect of all anticoagulants, making an antidote crucial. Idarucizumab was approved in 2015 as the first, and currently only, antidote for the novel anticoagulant drugs in the UK. The US has two, idarucizumab and andexanet alfa, approved in May 2018 for reversing rivaroxaban and apixaban. The EC is expected to decide on andexanet alfa in early 2019. A third reversal agent against the novel oral anticoagulant agents is in Phase II trials. ‘Ideally we would have an antidote for all these newer anticoagulant drugs,’ says Thanacoody. There are many other extremely toxic drugs for which there are no antidotes and supportive treatment isn’t always enough, he adds, giving gout treatment colchicine and malaria medicine quinine as examples. ‘The difficulty in developing antidotes is the market is very small and doing clinical trials is very difficult,’ he says. ‘And even if you do develop them, they could be prohibitively expensive because those poisonings happen so rarely.’ According to the UK’s National Institute for Health and Care Excellence, in 2016 a single dose of idarucizumab was £2400. Countermeasures for chemical and biological weapons and toxic industrial chemicals are the most active areas of antidote development. Global awareness of the potential for these to be used deliberately against civilians has risen in recent decades. 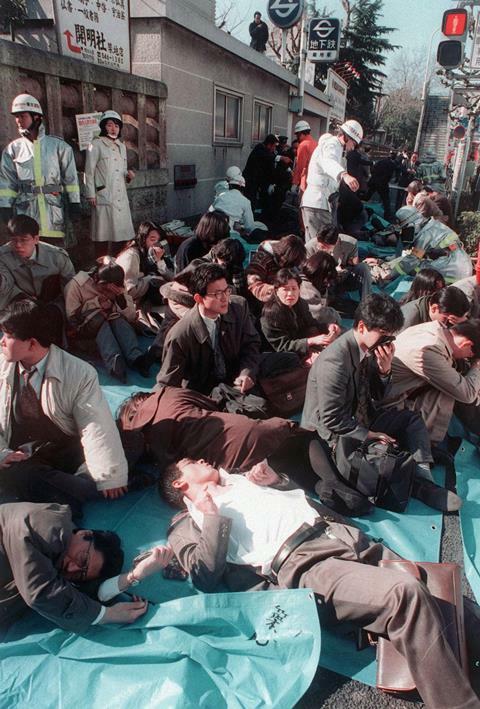 In 1995, for example, the nerve agent sarin killed 12 people in a Tokyo subway. In 2001, five people were killed in the US when anthrax was posted to media offices and senators shortly after the September 11 attacks. Sarin and chlorine continue to be used as weapons in the Syrian civil war. And in 2018, a Novichok nerve agent was used against civilians in Salisbury..
Antidotes could also prove useful in the accidental large-scale release of toxic industrial chemicals. 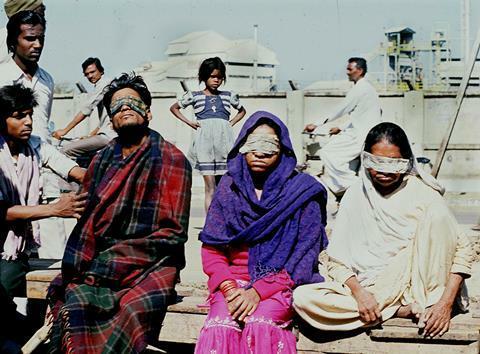 In December 1984, for example, a methyl isocyanate gas leak from a Union Carbide pesticide plant in the Indian city of Bhopal killed thousands of people. And in August 2015, a chemical storage warehouse containing, among other chemicals, 700 tonnes of sodium cyanide exploded in China killing at least 160 people. Scores of smaller chemical releases have been reported around the world too. The US Chemical Safety Board, for example, has declared the accidental releases of a number of toxic industrial chemicals including ammonia, chlorine and phosgene in recent years. 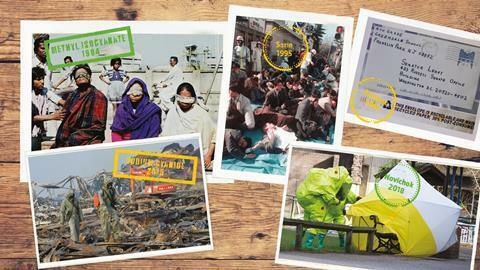 In the US, the National Institutes of Health’s Countermeasures Against Chemical Threats (CounterACT) programme (which is part of its Chemical Countermeasures Research Programme, CCRP) is a key funding source for efforts to develop improved antidotes against chemical weapons and toxic industrial chemicals for civilian use. One approach, being developed in collaboration with Sven Eric Jordt at Duke University in North Carolina, US, is to target the transient receptor potential ankyrin 1 (TRPA1). Also known as the wasabi receptor, this ion channel detects a wide range of chemical threats. It plays a role in the tear-inducing reaction to too much wasabi, and has also been linked to responses – such as coughing and reduced breathing rates – to toxic gases including chlorine, tear gases and some industrial isocyanates. TRPA1 antagonists have previously been shown to reduce inflammation in response to tear gases and isocyanates in mice. ‘We have tested one novel TRPA1 inhibitor against methyl isocyanate in rats and are currently evaluating a second,’ explains White. Agonists of the various TRP channels with respiratory roles are being tested by a number of pharmaceutical companies, including GlaxoSmithKline, against indications such as asthma and chronic obstructive pulmonary disease; none has been approved so far. GSK is also testing a novel TRPV4 antagonist against chlorine in animal models. A challenge of working with antidotes to chemicals threats is that human trials are often not possible or even ethical. To overcome this, the Food and Drug Administration’s (FDA) Animal Rule offers a route for these drugs to be approved without testing in humans. ‘The animal rule requires that, generally, you test in two species,’ explains White. The European Medicines Agency (EMA) does not have a formal equivalent. White is also working on an antidote for the toxic industrial chemical methyl mercaptan, in collaboration with Gerry Boss at the University of California, San Diego, in the US. In November 2014, four workers were killed at a DuPont plant near La Porte in Texas following a leak of this gas. ‘Boss is studying cobinamide, a cobalamin [vitamin B12] analogue that has a high affinity for methyl mercaptan, and he’s got some great results so far in the rodent model,’ explains White. Some different vitamin B12 analogues are already approved by the FDA and EMA for cyanide poisoning. Cyanide acts via a number of pathways, the most significant being by inhibiting cytochrome c oxidase-dependent cellular respiration. The cobalt in the approved vitamin B12 analogues binds with cyanide anions in the body to produce a non-poisonous compound that is excreted in urine. It is thought the same happens with methyl mercaptan. Boss has shown that the methyl mercaptan-neutralising effect of cobinamide is boosted by sodium thiosulfate, an already approved cyanide antidote, in mice. He now plans to test this combination against methyl mercaptan in rabbits and pigs. Pesticides are another class of chemicals that fall under CounterACT’s remit for having the potential to cause mass casualties. Small scale exposures, both accidental and otherwise, to these are also fairly routine. In the UK, for example, four multiple-casualty exposures to pesticides were reported to the National Poisons Information Service between April 2017 and March 2018. There were a further 4000 accesses to its database concerning pesticides over the same period. Many pesticides are organophosphates. The World Health Organization has reported that organophosphate pesticides cause 200,000 deaths each year in developing countries. Nerve agents such as VX, sarin, soman and the Novichok agents are also organophosphates and disrupt the nervous system in the same way. The neurotransmitter acetylcholine naturally binds to acetylcholine receptors at synapses (the junction between nerve cells) to trigger muscle contractions and modulate signalling in the brain. The job of the enzyme acetylcholinesterase is to break it down. Organophosphates inhibit this enzyme by phosphorylation, causing a build-up of acetylcholine and over-stimulation of the receptors. In large enough doses, this can lead to seizures, paralysis, respiratory arrest – and potentially death. A trio of drugs comprise the current standard of care for treating organophosphate poisonings. 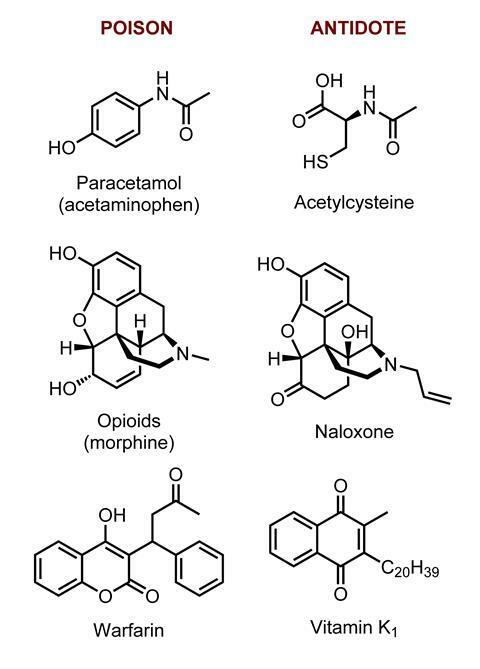 Oximes such as pralidoxime (2-PAM) reactivate acetylcholinesterase, atropine blocks the acetylcholine receptor preventing over-stimulation, and a benzodiazepine – diazepam or midazolam – stops seizures, by enhancing the effect of the inhibitory neurotransmitter γ-aminobutyric acid (GABA) at the GABAA receptors. Autoinjectors containing the above drug combinations – that can be rapidly administered by the poisoned person themselves – are already on the market but need to be used within minutes of exposure for maximum effectiveness. Even then they are not guaranteed to protect the brain against long-term damage. ‘If you think about a civilian casualty scenario, it’s very unlikely that they’re going to be treated within 20 minutes of exposure,’ says Pamela Lein, a neurotoxicologist at the University of California, Davis, in the US. Lein heads up a handful of efforts looking at improving the seizure-control aspect of organophosphate poisoning treatment. One potential approach, being explored in collaboration with UC Davis colleague Michael Rogawski, is to supplement midazolam with two other approved drugs – the neurosteroid allopregnanolone, which enhances the activity of GABA at the GABAA receptor, and perampanel, an antagonist of another nervous system receptor α-amino-3-hydroxy-5-methyl-4-isoxazolepropionic acid (AMPA). ‘The beauty of the combination that we’re working with is that all three drugs are currently approved for use in humans. We’re just repurposing them,’ Lein explains. The team’s compounds have been licensed to drug development company Defender Pharmaceuticals, and the potential of using a cocktail of oximes is currently being explored in animal models. ‘2-PAM and some of the other oximes that we know can’t get into the brain are better acetylcholinesterase reactivators than our oximes – they’re more effective at keeping the animal alive by restoring cholinesterase in the peripheral nervous system and maintaining respiration. So, a cocktail of our oxime and 2-PAM might be more effective overall to save lives and save brains,’ she explains. CCRP’s focus is on protecting civilians from mass exposure to chemicals; the US Department of Defense funds a complementary effort, through the Defense Threat Reduction Agency (DTRA), to protect the military. DTRA funds a similar portfolio of projects to CCRP, working towards novel therapeutics against chemical agents, explains Alison Myska, chemical countermeasures lead at the DTRA. It is particularly interested in approaches that can be self-administered ‘For a soldier, airman, marine or coastguard, they need to be treated in a timeframe of seconds to minutes post-exposure because they have an operational mission to finish,’ she says. DTRA is also looking at preventatives that can be given ahead of exposure. ‘These are small-molecule drugs, proteins or enzymes that we could give somebody beforehand to protect them or at least mitigate the effects to get through until they can get the treatment,’ Myska says. Previous attempts to make nerve agents prophylactics only managed a few hours of protection. A significant breakthrough funded by the DTRA was announced in January 2018; a nanoscavenger that gives a week’s worth of protection to repeated sarin exposure in guinea pigs. ‘The enzymes eat through the organophosphates in the bloodstream, like Pacman does for the little dots in the video game, before they reach the nervous system,’ Myska explains. Contributors to this multi-institution project include scientists at the US Army Medical Research Institute of Chemical Defense in Maryland. The nanoscavenger is an organophosphorus hydrolase enzyme coated with a zwitterionic non-fouling polymer layer.4 The polymer prevents the enzyme from being recognised and destroyed by the immune system, and therefore dramatically extending the time in remains in the blood. In the domain of antidote development, it will only ever be possible to treat a fraction of the vast number of drugs and chemicals to which we could potentially be exposed. It helps to remember that for the majority, treating the symptoms is sufficient. And for those that pose the most significant mass casualty threat, antidotes are either already available or under development. Main image credit: 1984 image: © STR/AFP/Getty Images; 1995: © Sipa/REX/Shutterstock; 2001: © Stephen Jaffe/AFP/Getty Images; 2015: © Feature China/Barcroft Media/Getty Images; 2018: © Matt Cardy/Getty Images; Table texture & frames: © Shutterstock; Stamps: © Getty Images.